Do it once in your lifetime! 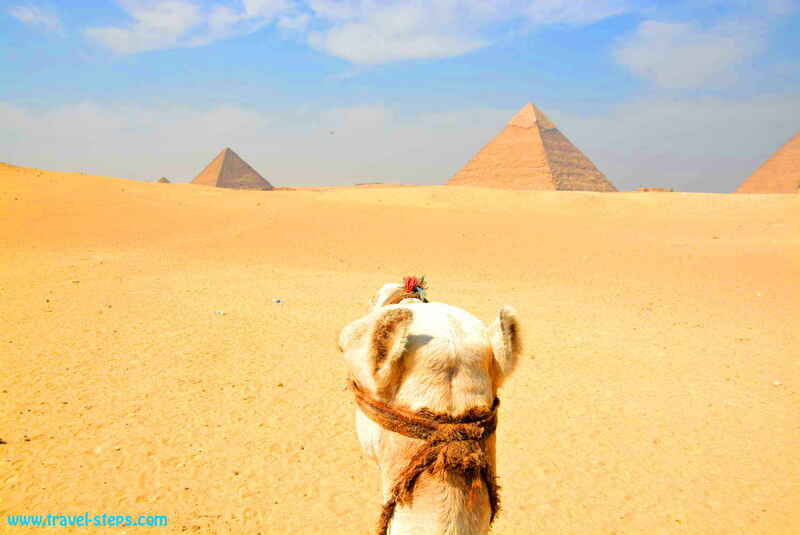 Egypt: Right now it is not the most famous destination for a backpacking trip or independent travelers in general. But it is really worth to go and travel around Egypt at least once in your lifetime. Me and my partner started our backpacking trip to Egypt in October 2015. Still a month with temperatures around 30 °C. We had a perfect time while traveling around Egypt, but also had to face a few challenges, that made my heart beat fast. We had to get used to chaotic and busy Cairo. 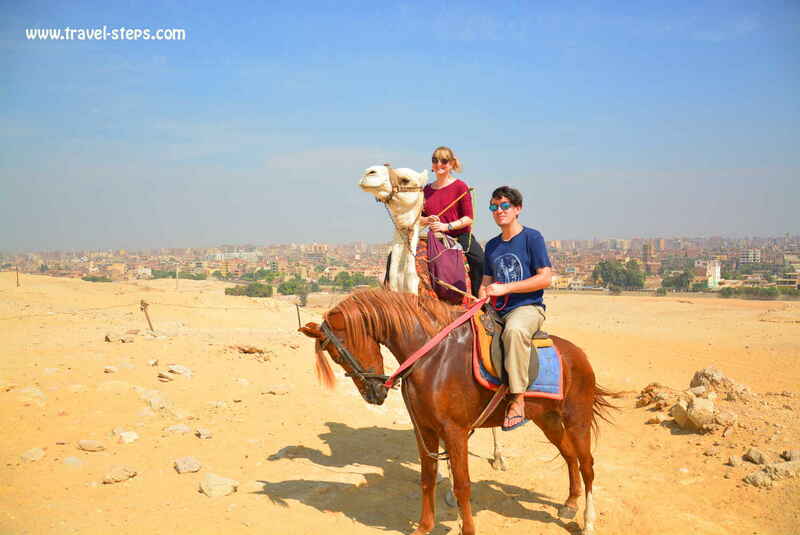 We had to find our way to the Giza Pyramids with local transport and manage to ride some camels by ourself. And finally, we took the overnight bus to the hippie Red Sea Resort of Dahab, passing several checkpoints and encountering dogs sniffing for drugs and weapons in our luggage. If you like little adventures and to explore more than the breakfast buffet at the hotel, travel to Egypt! While traveling around Egypt, we met welcoming people, saw impressive mummies in the Egyptian Museum in Cairo, interesting markets and colorful fish while snorkeling in the Red Sea. We totally recommend Egypt as a backpacker friendly country. First, we thought, that people were making jokes about us. But many were honestly greeting us with the word “welcome”, happy to see foreign people exploring their country. Still, it might not be the easiest trip. And even if every man and woman was friendly. 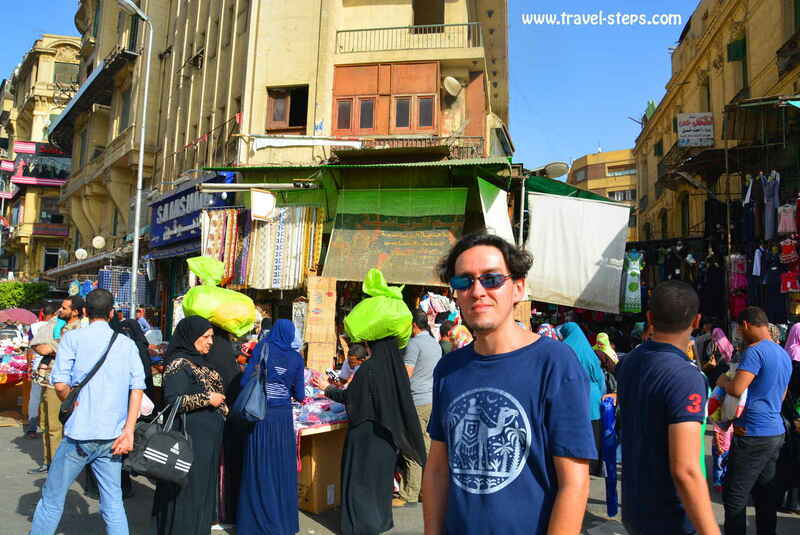 Even if I saw some women traveling on their own and watched a few young modern female Egyptian students and young people even wearing t-shirts and jeans among the ladies totally covered up in black, I was happy not to be a female solo traveler in Egypt. It felt good to be able to speak about impressions at the end of the days. Let’s say it in an extreme way: It felt more safe to travel together with a man in a male dominated society. I wouldn’t have had much fun going out for a tea in the evenings by myself. But I guess, that it would have been definitely possible. Chaos, dust, heat, noise: Cairo feels like a little challenge. 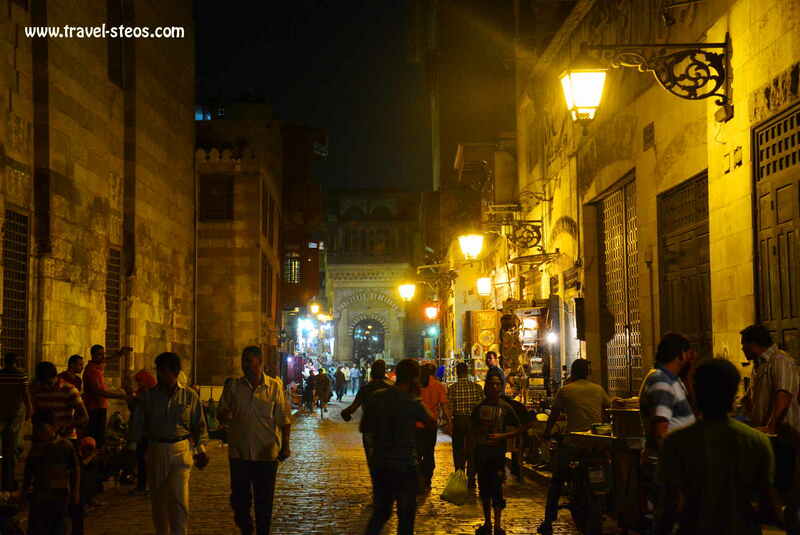 Walking along the streets in Cairo among the estimated 30 millions inhabitants, trying to cross the busy streets without working traffic lights and using the metro during rush hours can make travellers’ heart beat fast. At least for a day or two. Of course, people can get used to it. You might even love it after a while. But I needed definitely time for that.Then, you might see the fascinating warm yellow light, that colours the buildings of Downtown Cairo. You get curious about the shops selling shoes and all kinds of clothes. The book stores even sell a lot of English titles. There are also some small souvenir stalls in the centre. 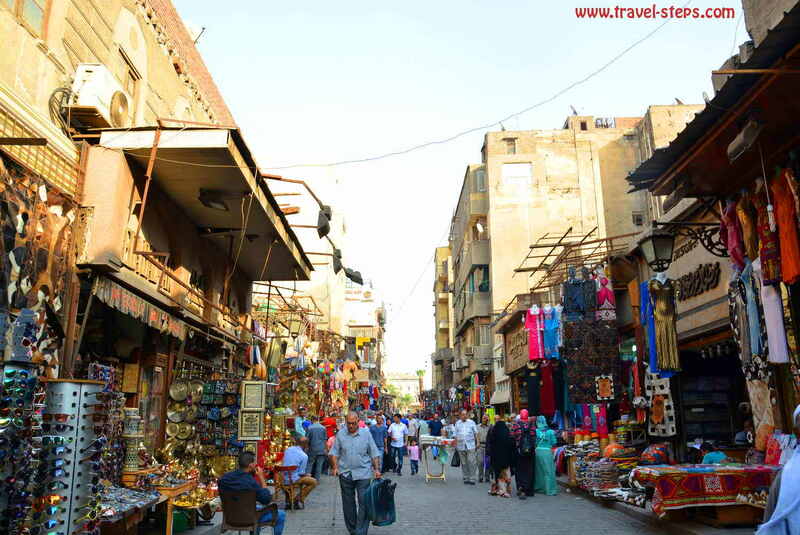 You become aware of that many Egyptians are welcoming travellers, smiling or greeting. Not many tourists dare to travel individually around the land of the pyramids right now. But we definitely enjoyed our stay in the country a lot. To find out more about visa regulations, I called the Egyptian Consulate in my home town Hamburg in Germany. The staff was very helpful and friendly explaining everything clearly to me. In October 2015, it was still possible for travelers from a lot of countries to get a tourist visa on arrival. Get information about all Egyptian Missions abroad.Read more about Egyptian visa regulations on the airport’s homepage. And apply for a visa at the Egypt Ministry of Foreign affairs. By the way: travellers, who need the visa on arrival at Cairo Airport have to go first to the exchange counter to pay the fee (25 US Dollar, which can also be paid in Euros) before queuing at the immigration counter. Save yourself a bit of time like this! 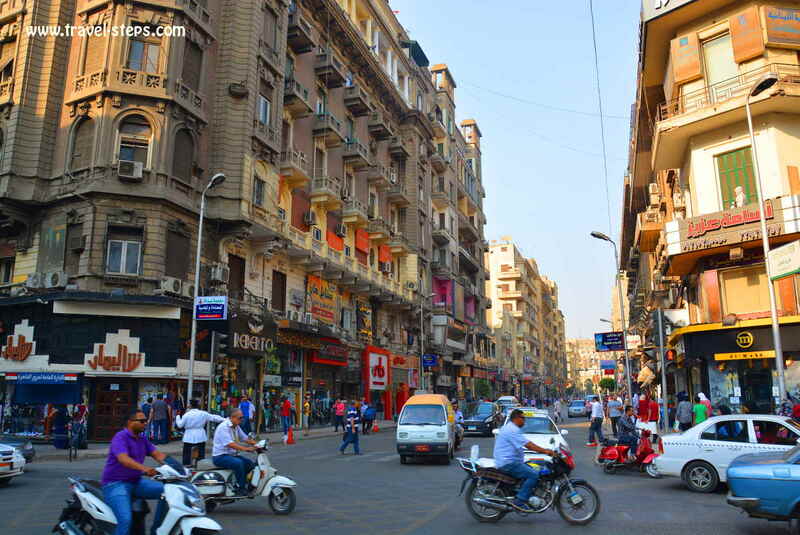 It makes sense to look for a hostel or hotel in Downtown Cairo as you are close to all kinds of shops, fast food restaurants, restaurants, the metro station Sadaat (Midan Tahir) and able to walk to the main sights as the Egyptian Museum, the Nile River, the Cairo Tower or to the Islamic Quarter. To get better rates, it can be a good idea to book in advance. Also, because some hostels are not easy to find by just walking around the streets. 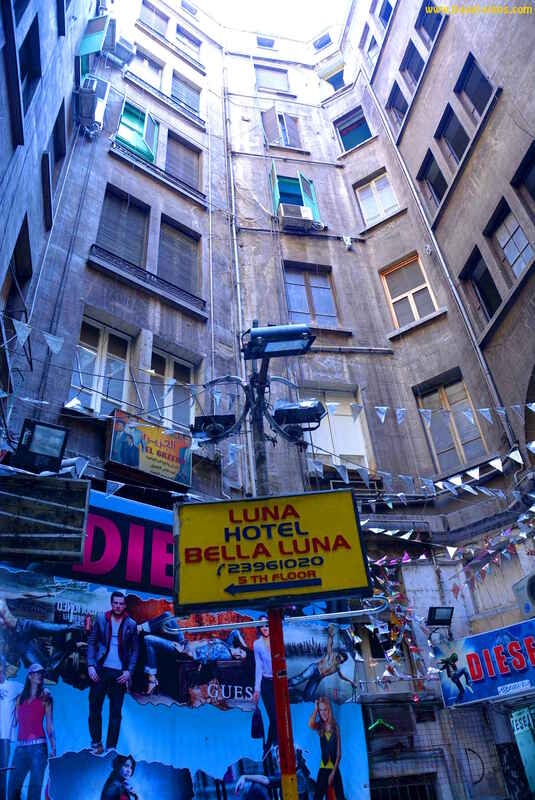 They might be in the 3rd or 5th floor of a building of very busy streets, not always clearly marked by a hostel sign. So, if you are looking for a specific place, it helps to have clear directions in advance. Be prepared for old beds and leaking air conditions! The rooms in the not so expensive hostels don’t have everywhere a high standard. It might happen, that the air condition is very noisy or leeks, that beds are not the newest models, that en suite bathrooms are integrated into the rooms just separated by a wall, which is not as high as the ceiling, so that you can hear everything, your room mate does. It might happen, that the water stops running for a while or that the toilet flush doesn’t stop. This is basically part of the travel. Laughing instead of complaining helps as there is in most cases no satisfying solution to the problem. 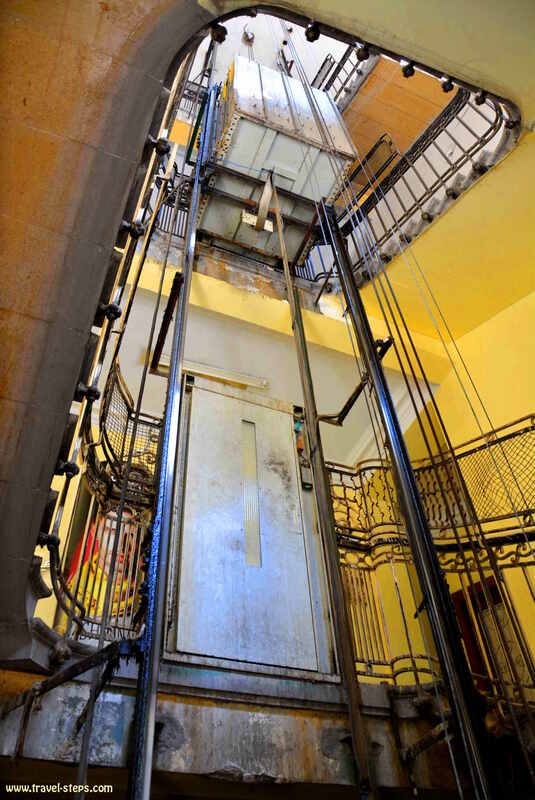 Also, the entrance halls and staircases of the buildings sometimes look rough, the elevators not very secure. But inside the hostels, that we stayed at, everything was fine! If your hostel offers Egyptian breakfast, it is worth trying that instead of the continental one. There are several ways of getting from the airport into the city centre: Find information about buses and public transport from the airport. CTA City Busses (all Cairo directions) and busses for destinations for all other Governorates (West Delta, Upper Egypt, East Delta, and Super Jet) most are air-conditioned. Departures are from the Bus Station located in the parking area in front Terminal 1 only. One way of minimizing the hassle is to arrange transport via your hostel as most of them can organize drivers and offer fixed rates ranging around 80 or 100 Egyptian Pounds per car. It can be helpful, if you arrive late at night, when no busses are running into the city, or if you are not sure, how to find your hostel. Some hostels even offer a free pick up, if travellers stay a few nights. We were totally happy, when there was a driver waiting for us in front of the arrival hall after we spent almost an hour waiting to pass immigration late at night. Otherwise, there are dozens of taxi drivers offering a ride. 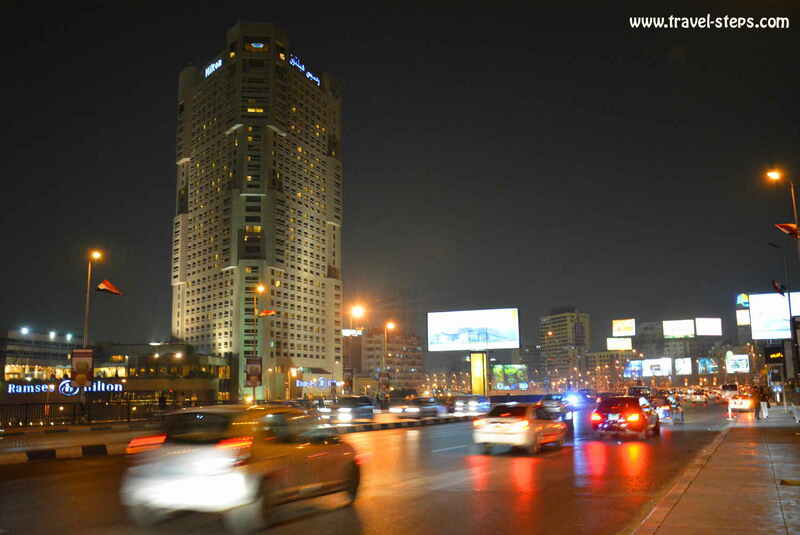 The trip to Downtown Cairo took about half an hour at night-time, but can be much longer during rush hours. Finding the right transport in Cairo can be challenging. Some travellers don’t enjoy the crowded metro during rush hours from 6 to 9 am and 4 to 6 pm. People would very often try to squeeze in before leaving other passengers out. It can be pretty chaotic. For women, it might be a better choice to use the separate woman carriages. Usually, I’m not a big fan of separating men and women in public life, but in Cairo, I was extremely happy about the women’s carriages. Out of rush hours, the metro seems to be a great way of exploring the city. One trip costs one Egyptian Pound. You can buy the tickets in every station. Find out more at the official website of the Cairo metro. Concerning the bus system, it’s hard to get an overview of different lines. Timetables are pretty much non-existent. If yo want to take a taxi, it is recommended to take a metered one, as some drivers in private cars might try to overcharge travellers or claim more money after the trip, that you agreed to pay before. We once went with a driver, who wanted to give us a short ride for 15 Egyptian Pounds, but claimed 30 Egyptian Pounds afterwards. We didn’t know how to react in the right way, so we gave him 20 and left the car without any further discussions. It’s probably not a lot of money, but travellers don’t need the feeling to get fooled. 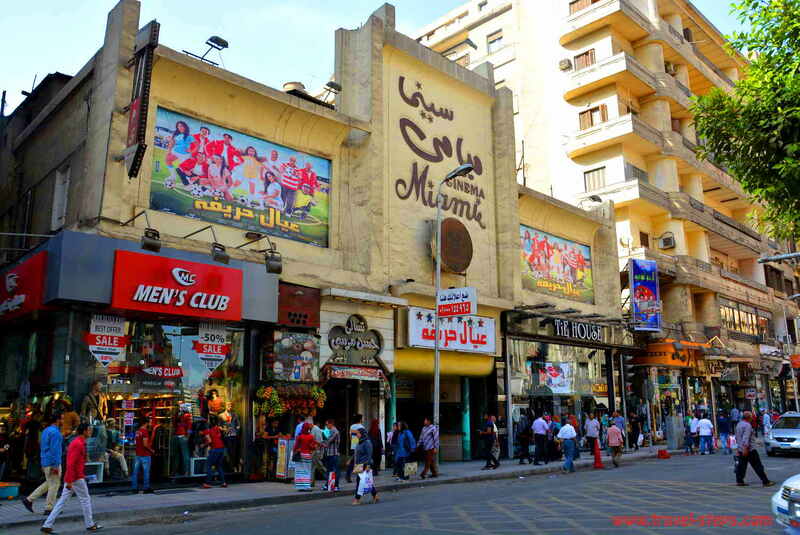 For travellers on a tight budget, shawarma or other cheap Egyptian fast-food-style-restaurants can be a good option, for example GAD (for example in Abdel Khalek Sawat street between Sherif street and Talaat Harb street). To chill for a few minutes and get a break from the busy street life, the tables at the first basement are recommended and the staff is just super friendly to travellers. 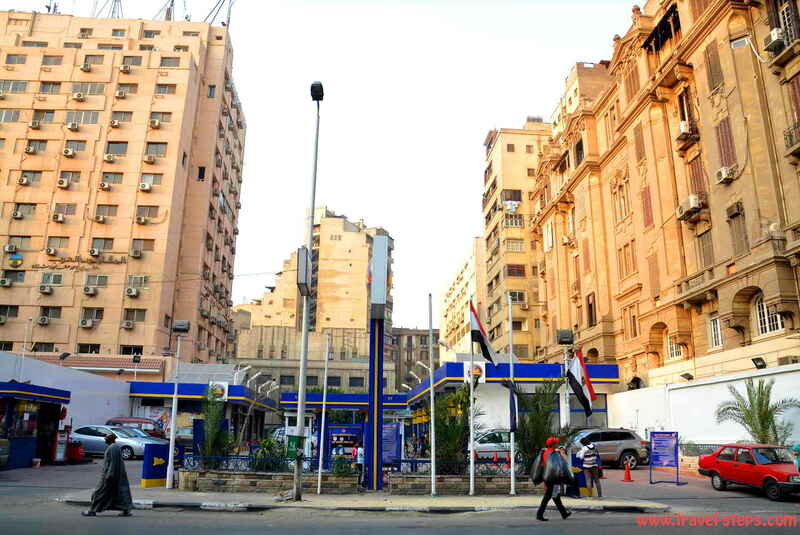 It is possible to get filled up for 20 Egyptian Pounds. 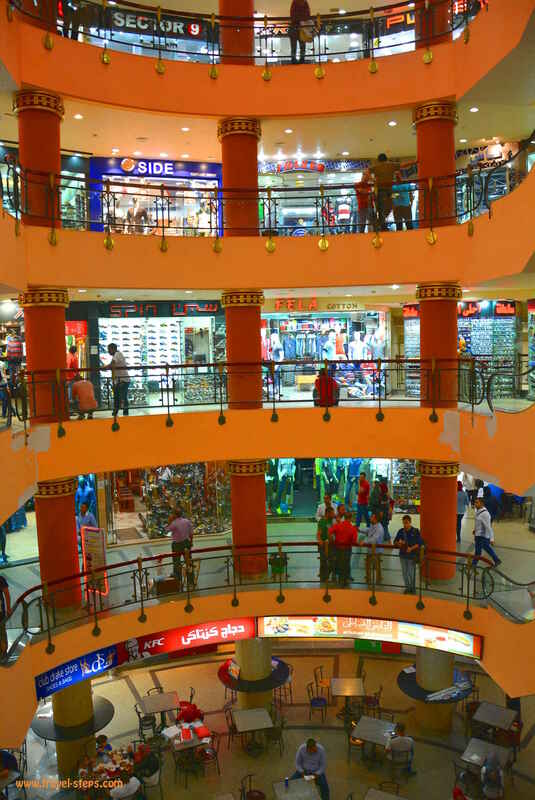 Another cheap possibility of melting into the crowd is the food court in the basement of the shopping centre of Talaat Harb Complex. There, you can also buy mostly men’s clothes, shoes and some jewellery. For good restaurants, it is probably worth checking a guidebook as they are not always easy to find just at every corner in Downtown Cairo. 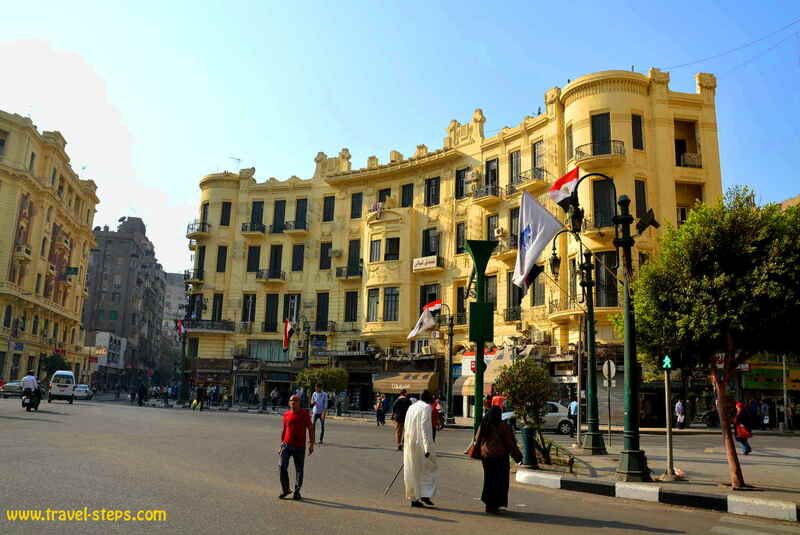 Some Egyptians approach travellers around the square Midan Talat Harb or in the streets in Downtown Cairo. No reason to panic. They most likely want to sell something and to drag travellers into some souvenir shop in a nearby street, offer them some tea and show their products. It can be funny to have look around their shops or watch their papyrus art. But sometimes, it is not. And sometimes, it is not very easy to get rid of them. When we said, that we were hungry and want to go eating, the guy even wanted to come with us to a restaurant and watch us while we were having our meals to drag us back to his shop afterwards. We really had to tell him to leave us alone. Our experience was, that many souvenirs in these Downtown shops are overpriced. The funny thing is, that we really even didn’t think about buying something until a guy started talking to us. To buy some souvenirs, it helps to use your bargaining skills or look around the markets of Khan al Khalili in the Islamic quarter first to get an impression of prices and the variety and different quality of products first. 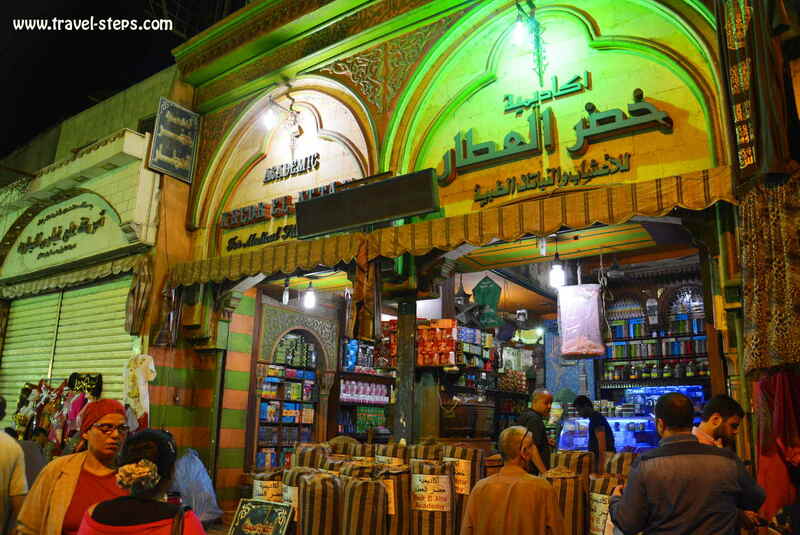 To buy souvenirs, Khan al Khalili is the place to be. Till late night, it is possible to find all kinds of stuff from handmade lamps, candle holders, T-shirts, Papyrus, blankets, buffs, little pyramids, herbs and toy camels. Some goods are said to be imported from China though. It is a huge market. Travellers, who walk away from the touristy shops, need good nerves and a bit of time to make their way through narrow lanes full of people and market stalls selling all kinds of clothes from cheap jeans to hello-kitty-fleece-pyjamas, household goods or lamps, while the vendors are talking to the customers, offering you their goods or just say: welcome to Egypt! Khan al Khalili is a nice place to walk around and to get inspired. The restaurants at the main square are serving softdrinks and juices from 15 to 20 Egyptian pounds upwards and always charge a service fee on top. It is definitely possible in Egypt to get drinks for much less in local bars, often a tea for just one Egyptian pound. Same with the food. At the main square, customers are clearly paying for the atmosphere. It is possible to watch people, listen to some musicians, view the impressive Mosque, get hassled at one’s table by street vendors, who want to sell everything they can. 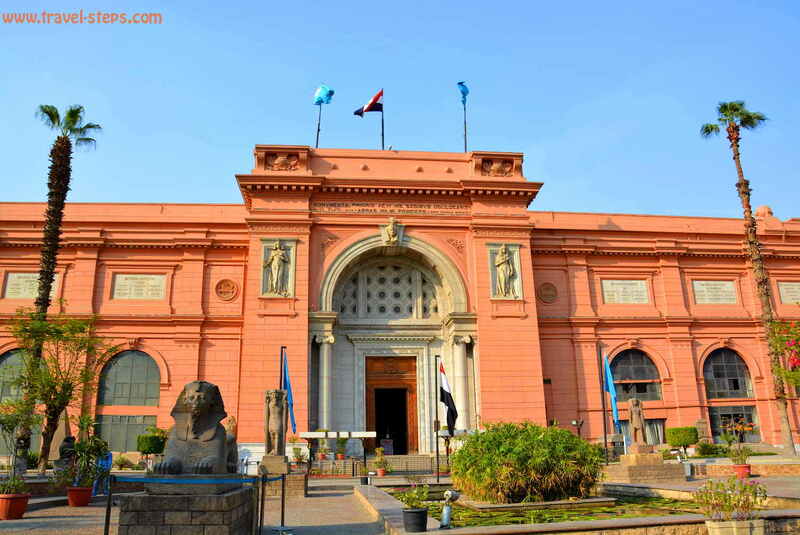 If you need a break from the hectic city life, it is the perfect moment to visit the Egyptian Museum. It is packed with fascinating relics. According to the Supreme Council of Antiquities Museums, the Egyptian Museum in Cairo contains the world’s most extensive collection of pharaonic antiquities. You can easily spend a few hours there without getting bored. There are descriptions in Arabic and English at most of the objects looking like printed out in the 1980s. The dust on the show cases contributes somehow to the atmosphere. But apart from that, there are real treasures exhibited, that make the museum a fascinating place to visit. It’s not allowed to take pictures though. Cameras have to stay with the guards, who are of course happy about a small tip. While visiting the museum in October 2015, the restaurant was under construction and it was not possible to buy food in there. So check beforehand or bring some snacks and drinks. You might stay longer, that you planned to. In October 2015, the entrance fee was 60 Egyptian Pounds for foreigners, just 4 for Egyptians. The royal mummies room is 100 Egyptian Pounds on top for foreigners, 10 for Egyptians. Students get discounts. The museum is open till 4 pm. 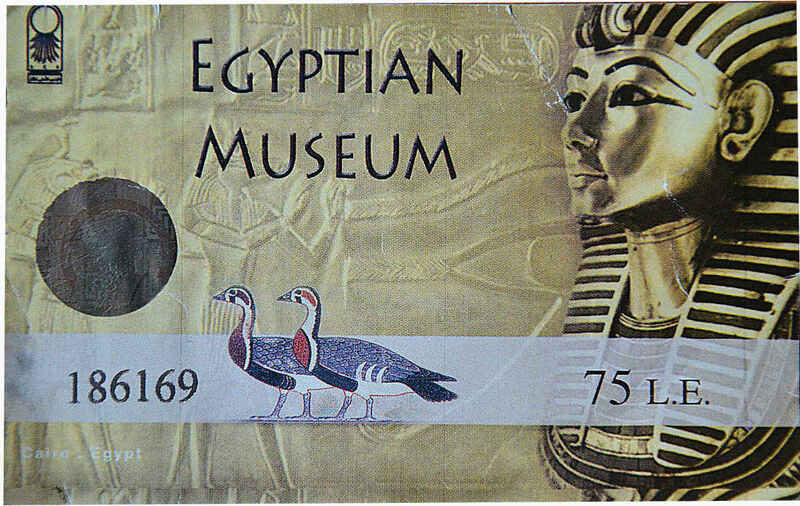 Check the website of the Egyptian Museum for times and prices. 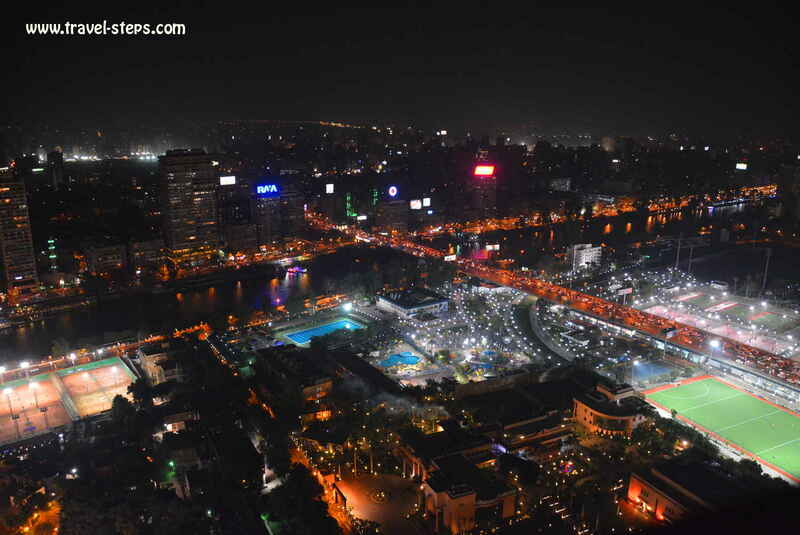 360-degree views from Cairo Tower: See the Nile River! 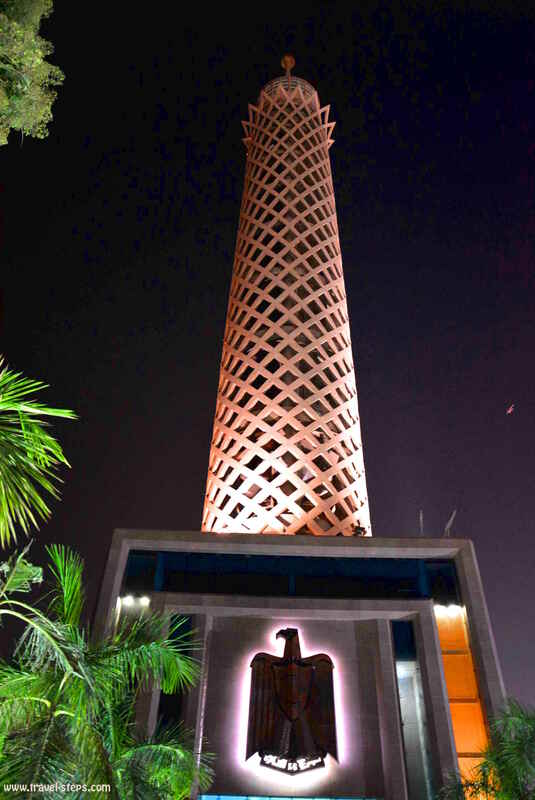 To get a 360-degree views over the city, you can visit the 187 metres high Cairo Tower. There is an elevator taking you up. The tower, built in 1961, is open in winter from 8 am to midnight, in summer from 9 am to 1 am. Also at night, it offers great views of the illuminated city. 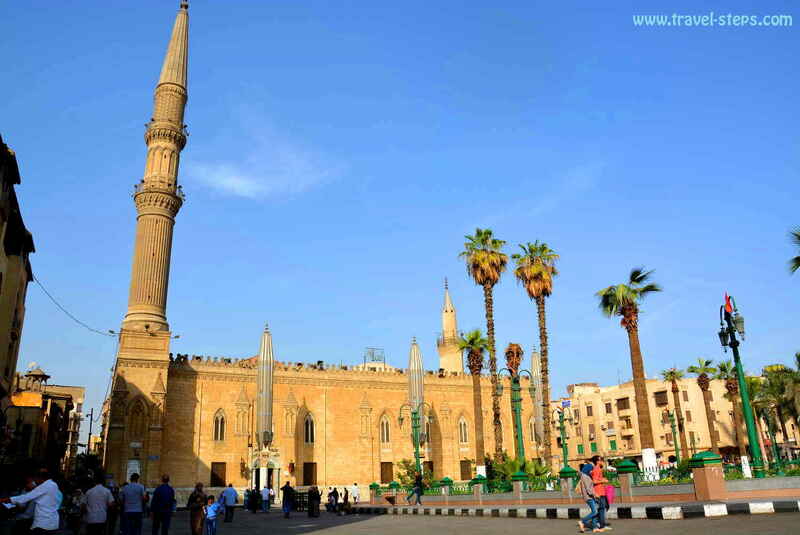 It is in walking distance from the Egyptian museum in Downtown Cairo. Just be aware, that if you walk, you have to cross a few busy streets and that footpaths are rare. But if you walk from the Egyptian museum to the Cairo Tower, you will get some interesting Nile views and cross the river by bridge. But a walk a the Nile river next to the busy streets might not be the most romantic thing, that you have ever done. Check out times and prices on the website of the Cairo Tower. The Great Pyramid of Giza is one of the seven wonders of the ancient world. To visit Giza is meant to be a highlight of every visit to Cairo. For some people, it surely is. It probably depends on the way of visiting them. The cheapest way to get there is by metro to Giza. There are busses (one Egyptian pound) and minibuses (four Egyptian pounds) going from the metro station close to the pyramids. Bus 355/357 runs from Heliopolis to the Pyramids via Midan al-Tahrir every 20 minutes. But don’t expect, that in Giza metro station, everything is set up for backpackers to make it easy to get there. There is no sign saying “pyramid-bus”. When we were traveling around Egypt, we had good experiences with asking just normal people in the streets, who are not part of the tourist business. So don’t ask the ones, that are just waiting for helpless tourists. We experienced most people to be extremely helpful. They would even stop the right bus for us or explain, which minibus we needed to take. Alternatively, it is of course cheaper to take a metered taxi from Giza metro station than from Downtown Cairo. Otherwise: good luck! You have different possibilities of visiting the Pyramids. You can just use the main entrance and walk your way, use the service of some horse carriages or get on the back of a horse or camel. Get information about tickets, opening times and prices. We got a deal at one of the stables around the pyramid area to view the pyramids on the back of a horse or camel together with a guide. And when it comes to paying for the whole adventure, be concentrated. Don’t get on the camel first before paying. Make sure, that you pay exactly the agreed amount. Not more. Bargaining is definitely recommended. Of course, you need bargaining skills to get a good deal. It is probably a good idea to think for a minute and not to get confused. Our impression was, that there are not so many tourists around as they used to be. So, people are trying things to survive and keep their businesses going. The bizarre things about the pyramids: They are located just next to the city of Giza, just a few hundred meters away from normal houses. The guide should be able to tell you a lot about the whole historic site and usually takes funny pictures of you in front of the pyramids or lets you climb a few steps on the pyramids, that are located a bit further away from the main tourist crowd. Usually, he expects a tip on top of the costs for the trip. So if you are traveling on a budget, the option to get just a ticket at the main entrance is probably a good choice. Getting a deal at the stables around the pyramids can be fun, if you enjoy riding a camel or a horse by yourself in the heat. I didn’t. I was completely shocked, when the guide gave a horse to my partner and let me go on the camel. I didn’t know, what to do really. He expected us to follow him as if we had never done anything else before than riding camels. I didn’t want to be a spoiler. But I couldn’t wait to get off the camel. Our ride took nearly three hours. I saw some foreign tourist sheiks making jokes about me and encouraging me to go on. But I was just lucky, that the camel seemed to know, where it had to go. The view of the pyramids were amazing – even more from a distance. It would have been better without the camel, but well …. It helps to take enough water and maybe some food as some trips can take a few hours depending on your speed riding the camel. Tips are welcome almost everywhere and are part of the Egyptian lifestyle. The guys, who make an effort to drive the elevators, who clean the toilets or who put your luggage into the trunk of a coach for example are happy about a few coins. Same with the beggars in the streets or the ladies, who sell tissues, that you will probably need as soon as you want to use a toilet in a restaurant. No matter, how hot it might be outside, Egyptians don’t strip off in the streets. You won’t see any naked legs or knees in Cairo. Women mostly wear log sleeve shirts, long trousers or skirts and cover their hair. Some also wear hijabs. Occasionally, you see some women without any scarfs wearing T-shirts. There are for example also some Christian people living in Cairo. Also men go with long trousers. 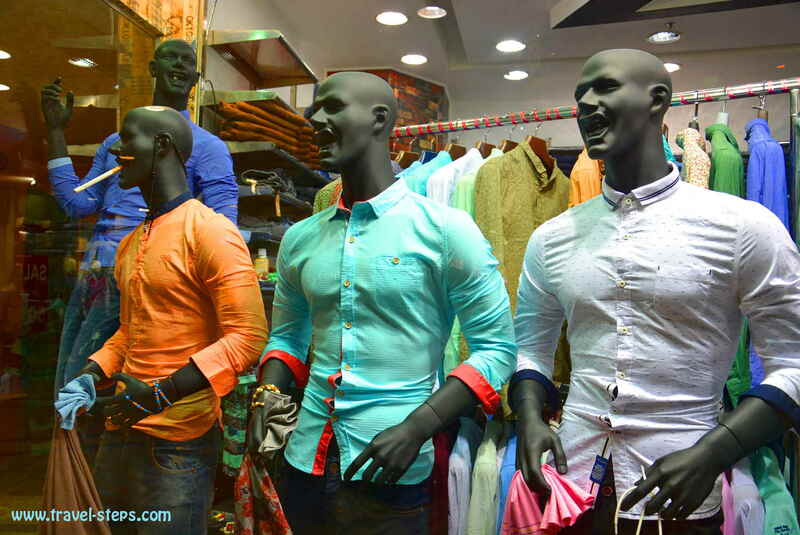 We felt comfortable using a similar style wearing long trousers and shirts, that cover the upper arms. To avoid travelling during the extreme summer heat probably makes it easier to fit into the society there. 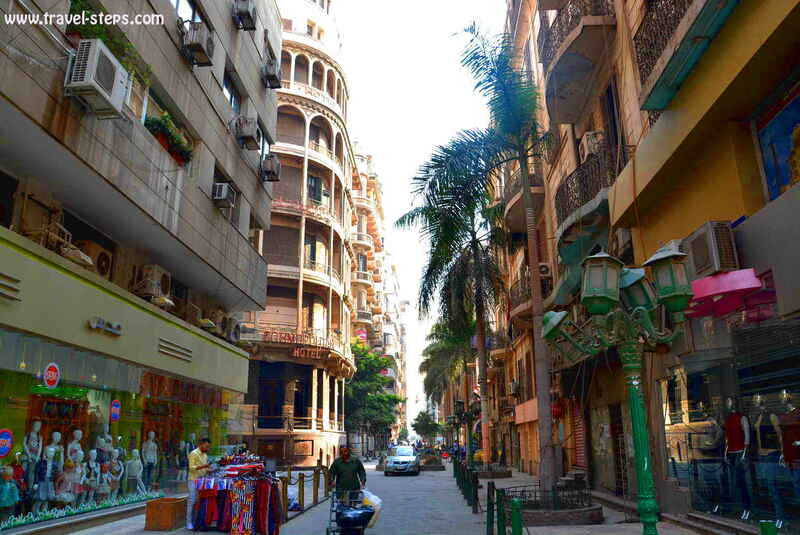 Is Cairo safe? I was thinking a long time about travelling to Egypt, read the warnings of some governments published in the internet and got almost a bit paranoid. I was not quite sure about how safe I would feel, when I started my trip in October 2015. 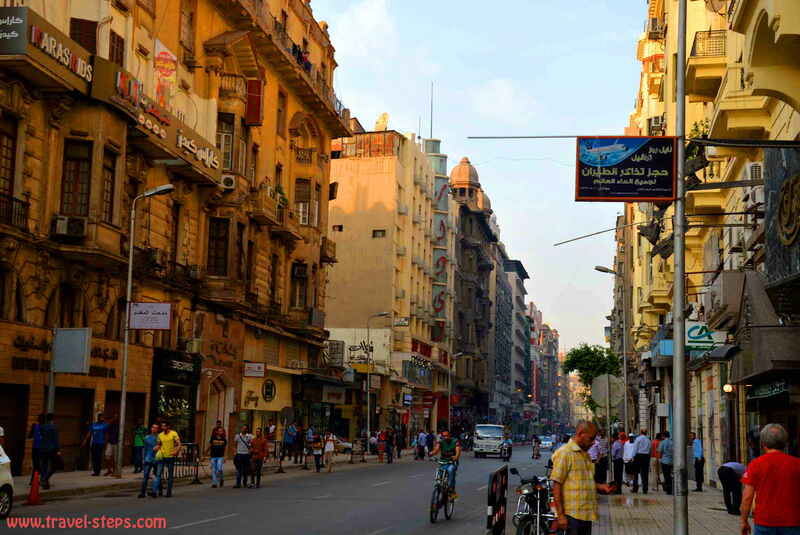 I felt a bit insecure, when I did my first steps in Downtown Cairo. The metro seemed a bit gloomy, the security checks in the entrance of metro stations, shopping centres or museums irritated me. The policemen with their machine guns in front of sights made me feel like a helpless alien. But in the end, I was happy, that I made the trip. I met a lot of great friendly open-minded welcoming people with a good sense of humor, that suffer from incidents, that happened in their country, that suffer from the declining tourist industry and a hoping for better times to come. Right now, you don’t really see a lot of western travellers in the streets and markets, museums or hostels. But you meet a lot of Egyptians, that would welcome you to their country, try to convince you, that their country is safe, share tea, thoughts, smiles and knowledge about history and life as long as you show respect to their culture. For sure, you will see some historic treasures. Sure, things can happen everywhere to everyone. Keep that in mind, take care of yourself and keep your eyes open. 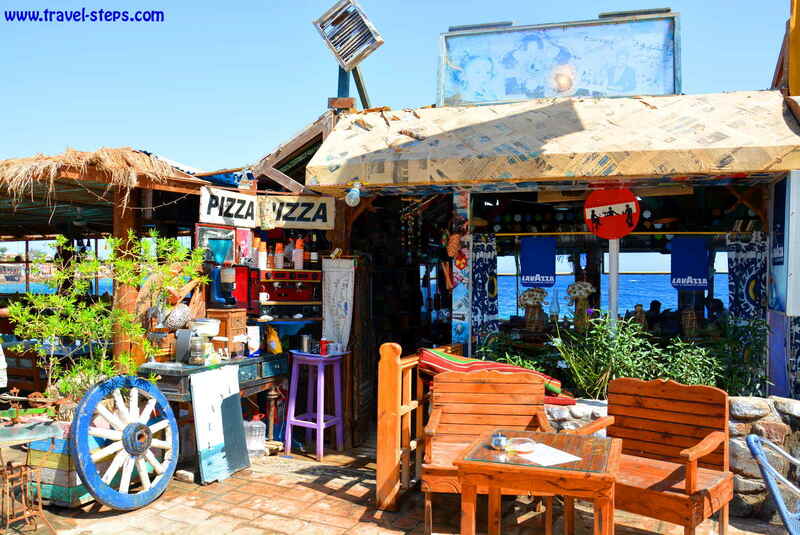 Feel the hippie vibe in Dahab! 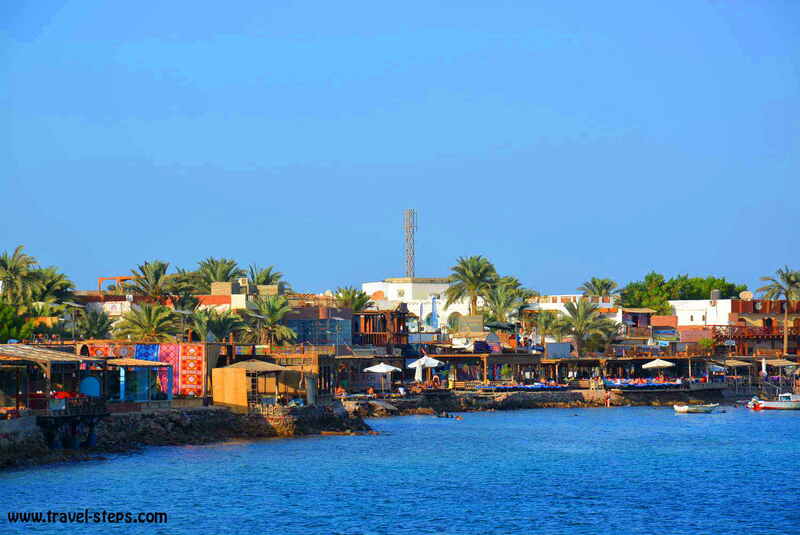 If you prefer a hippie vibe instead of four-star-resorts, Dahab is the place to be. 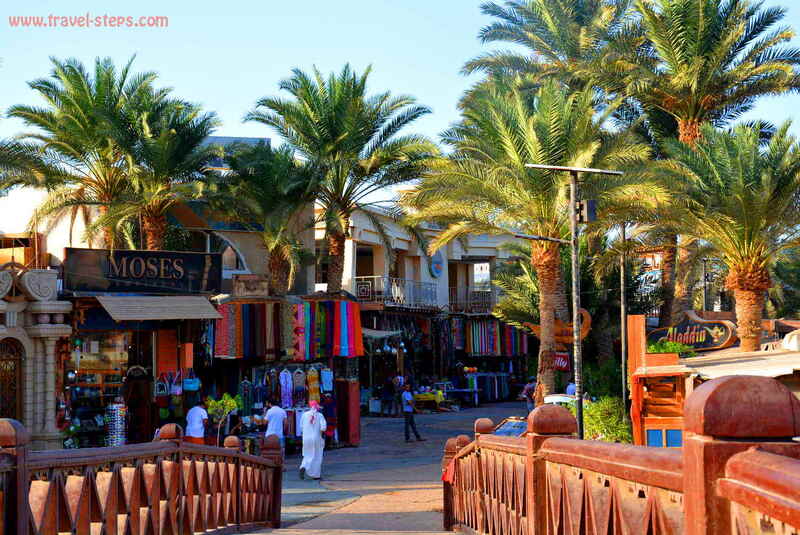 Leave the all-inclusive-package tourism to the tourists in Hurghada and Sharm el Sheik and start to explore the Red Sea Coast lifestyle a little bit more individually. The hippies of former days might be gone, but this Bedouin town at the Sinai Peninsula still offers a chilled out chance to relax at the Red Sea Coast and to discover a colourful underwater world while snorkeling and diving in crystal clear water. 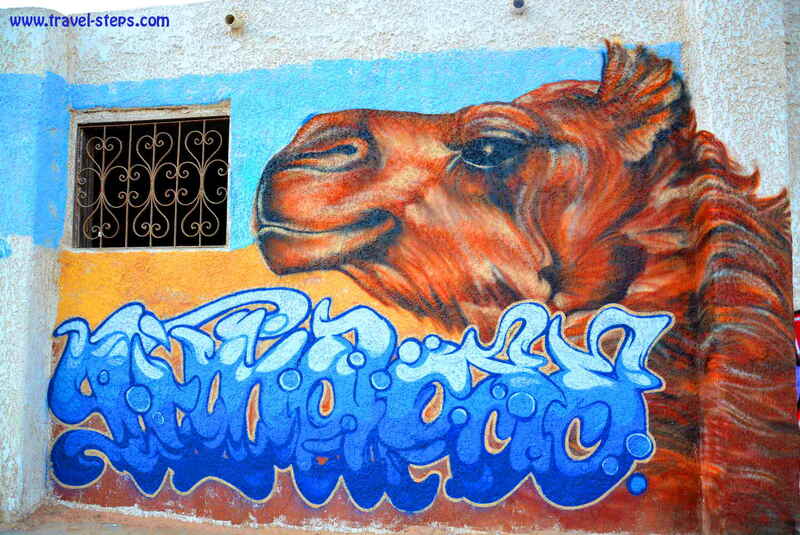 Dahab is a beautiful place, but made up for tourists. There are different diving clubs catering for the needs of divers. There are a lot of bars, restaurants and hotels meeting the interests of backpackers. But you can also find a few more fancy places. It is a low-key holiday town, where you can easily chill for a few days if not weeks. The dress code at least right at the beachfront is much more relaxed than in the rest of Egypt, allowing tourists to walk around in summer skirts and shorts. Drinking fresh fruit juices, reading books on sun chairs, having candlelight dinners in the beachfront restaurants or shop around for souvenirs can be part of the holiday. A variety of activities are offered at affordable prices. 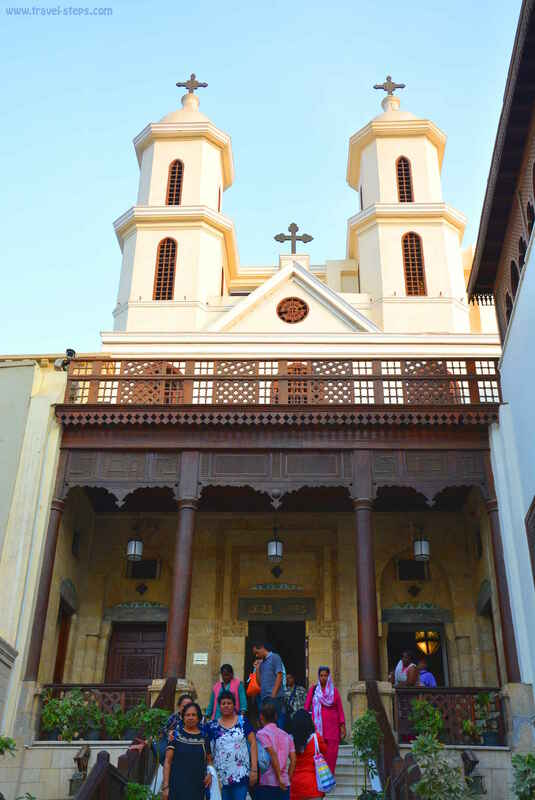 You can do day trips to the St Catherine’s monastery, to Jerusalem, Jordan or have dinner with the bedouins among the stars, go on snorkeling trips and much more. At the lighthouse reef in Dahab, you can jump right into the water to see some corals and colorful fish. There is a little restaurant and shopping strip right at the waterfront. If you stay at a hotel or hostel there, you won’t need to go far to snorkel and chill out in one of the beachfront bars. Many of them also offer sun beds and a direct access to the water or are aligned to hotels or hostels. But there are also some public accesses to the sea, where you can leave your towel. You might not get any shade there though. For a sandy beach, you can try the Laguna, which is a few kilometres away from the Dahab Bay. 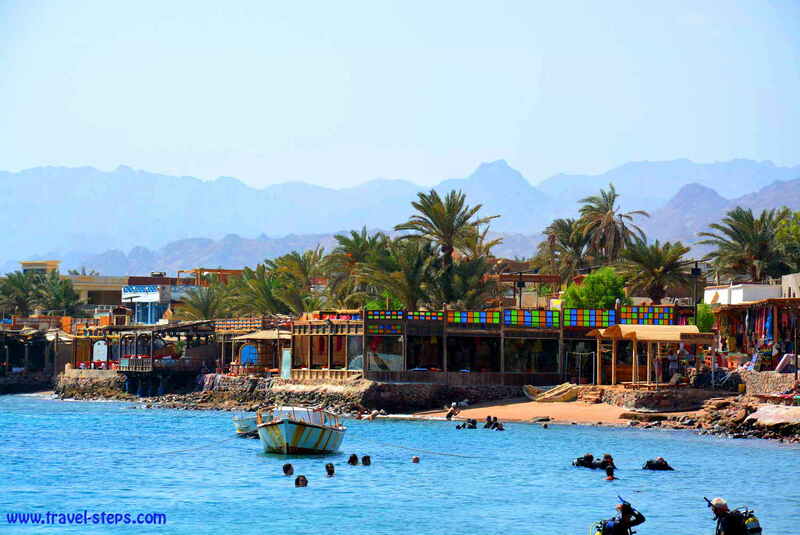 Like the whole country, Dahab suffers from the decline in tourism. You can see, that some restaurants were forced to shut down. Some hotels are closed. Some others might need some renovation. The hotel, we stayed at, was one of these lovely little place with an owner caring for his guests. The staff would go out of their way to make us happy, when we were traveling around Egypt. You could feel, that the place had seen better days with probably functioning toilets and more guests staying there. And that many locals wish, that these days might come back. 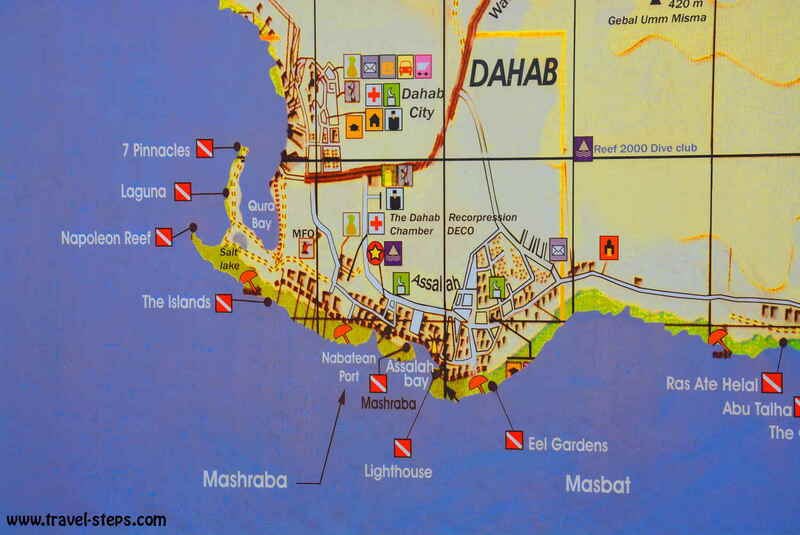 Of course, Dahab is also a place, where people want to make business and are looking for customers. In October 2015, there were tourists, but the place is not overcrowded. The shop owners won’t hassle the tourists too much and are often up for a little chat. The restaurants are offering amazing deals and give you discounts. And there are some lovely places, where you can eat on comfy cushions under the stars feeling a light breeze of the ocean, dreaming away. Concerning the restaurants: The cheapest choice is not always the best though. And for a snack in between, there is a supermarket right at Dahab Bay. You can get to Dahab by bus from Sharm el Sheik in one hour. There are several buses daily. Also from Cairo, there are a few daily buses going to Dahab at daytime and overnight (also from Turgoman Bus station in Downtown Cairo). The trip will take nine to eleven hours with the bus Company East Delta. Ticket prices vary depending on the time of travel. Check at the bus stations for times and prices. You have to buy the tickets there. It makes sense to buy the tickets in advance to get a seat for the bus at the time, you want to travel. To save some daylight time or to avoid travelling in the heat, you can catch a night bus. During the day, the ticket from Cairo to Dahab cost 90 Egyptian Pounds, at night-time 110 Egyptian Pounds. The air condition in our bus was working a bit too well though, so it might help to take some warm clothes into the bus – just in case. When we decided to take the night bus from Cairo to Dahab while traveling around Egypt, we hoped to be able to sleep during the night. Forget about that. On the highway, you will pass several checkpoints, where you have to show your passports. At one point in the middle of the night, they made all the passengers take the luggage out of the bus. They used dogs to look for drugs and weapons. In Dahab, there are pickups running from the bus station to the town and hotels, which are a few kilometres away from the bus station. The short ride should cost between 10 and 30 Egyptian Pounds depending on your time of arrival and your bargaining skills. We were happy that we didn’t start walking. It is quite a distance. In Dahab, there was a terrorist attack taking place in 2006. There were people killed and injured. This topic is still not a good one to discuss with the locals as the incident seemed to have traumatized the whole town. Some governments warn to travel overland to Dahab and places on the Sinai Peninsula, because there have been attacks in the South of Sinai. Also, in 2014, a tourist bus had been attacked in nearby Taba. 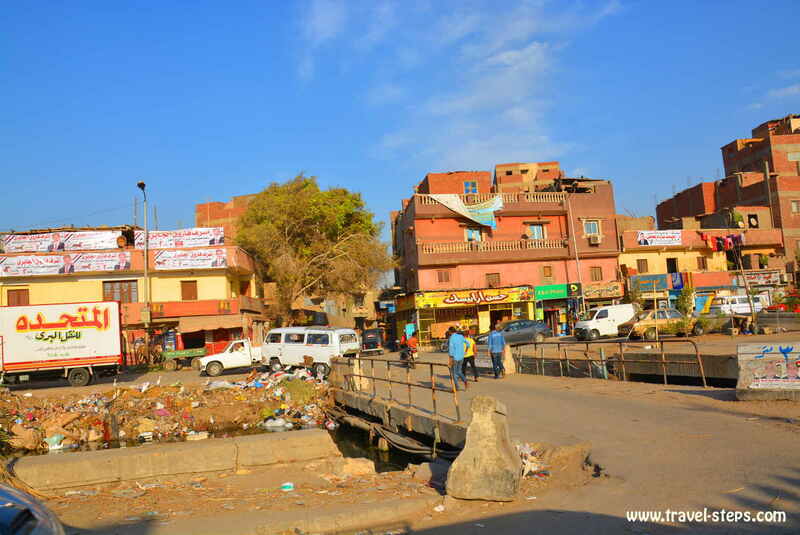 The locals, we asked in Cairo, did not understand why anyone would warn you to travel to places like Dahab. Indeed, the local buses are full of Egyptian young people and even a few families with small children travelling. Even a few tourists were among the passengers. That was the reason, why we did the trip in October 2015. But to be honest, we discussed it a few times beforehand. Everyone has to make his own decision. Things can happen everywhere to everyone.